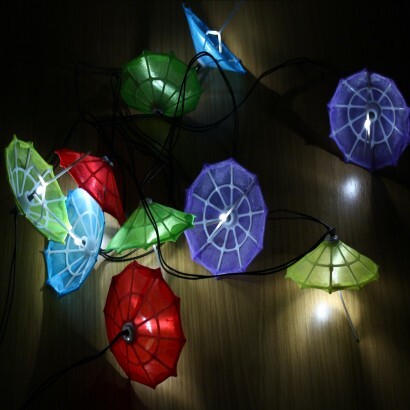 Ten colourful parasols hang are lit by bright white LEDs to make a cheerful light string that adds colour and light to your garden features. 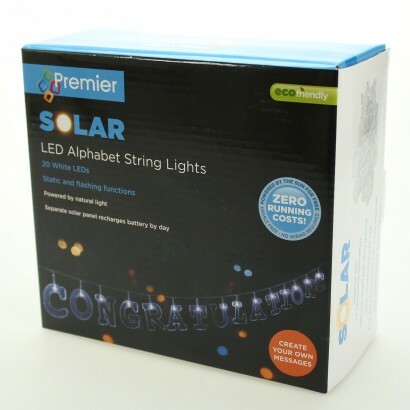 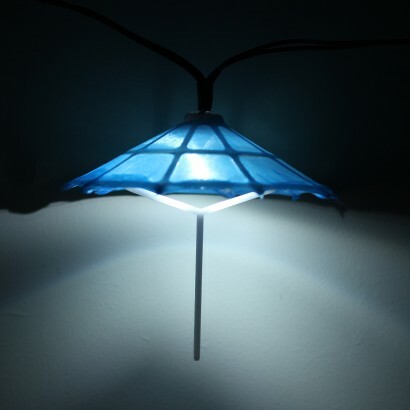 Solar powered, place the solar panel where it will receive maximum exposure to light and each pretty umbrella will light up automatically at night with either static or flashing functions. 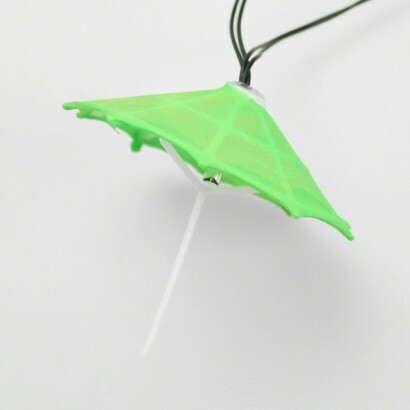 Ideal for brightening up even the darkest corner of your garden, these decorative umbrellas lights make a fun garden or party decoration.